The future of rail traffic has already arrived. The RHEDA 2000® system is our contribution to ICE technology: this track is ideal for heavy loads, for extreme speeds, and with top safety. The monolithic, ballastless RHEDA 2000® system represents the most advanced stage of development in the RHEDA family. This system is used for mainline tracks, especially on high-speed routes. Chief characteristics of the supporting concrete slab include its lack of a trough, and its use of a modified bi-block sleeper with a lattice truss. 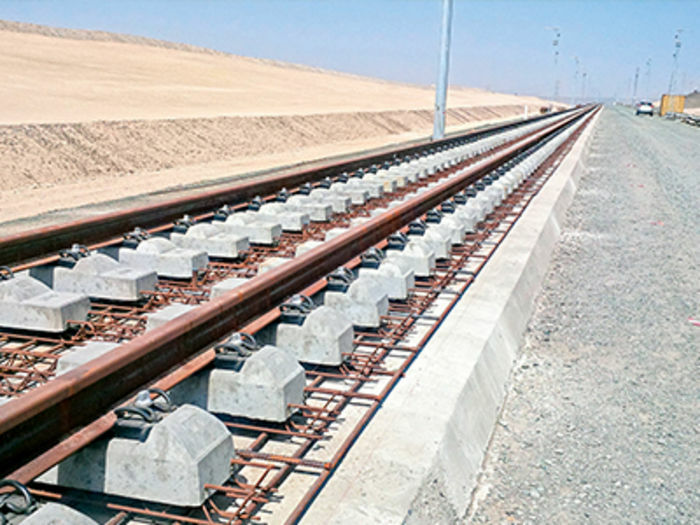 The development of special turnout sleepers for the RHEDA 2000® system means that track and turnout are totally compatible: the uniform structural height and the reduced weight enable significant time and cost benefits in project engineering and installation. As a result of the monolithic structure of the track-supporting layer, and the low overall structural height, this system is outstandingly suited for applications for earthwork systems, tunnels, and bridges. Another system solution is the new ballastless track system without continuous reinforcement. Its structural design and functional principle puts it at the forefront of transportation infrastructure construction – and has eliminated the need for continuous reinforcement previously used in the RHEDA 2000® system. With the elimination of reinforcement construction time can be shortened and costs lowered. The influences of the reinforcement on the signalling technology and earthing are thus also minimized. The new system is also particularly well-suited for use in France, Spain, and Asia, where the UM71 DC circuit system is used. RAIL.ONE was awarded the contract to supply railway systems for the high-speed line from Mecca via Jeddah to Medina in Saudi Arabia. On behalf of the Spanish construction company OHL, around 200 kilometres of double-track in ballasted track and ballastless track railway technology will be delivered for the approx. 444 kilometres of the well-known pilgrim’s route. Production was begun in July and is expected to be concluded by the middle of 2015. Commissioning of the line should take place in 2017 at the latest. RAIL.ONE has been awarded the contract for delivery of the RHEDA 2000® ballastless track system for the 230 km Honam line, which branches off from the existing high-speed line at Osong and will lead to the port city of Mokpo in the southwest. 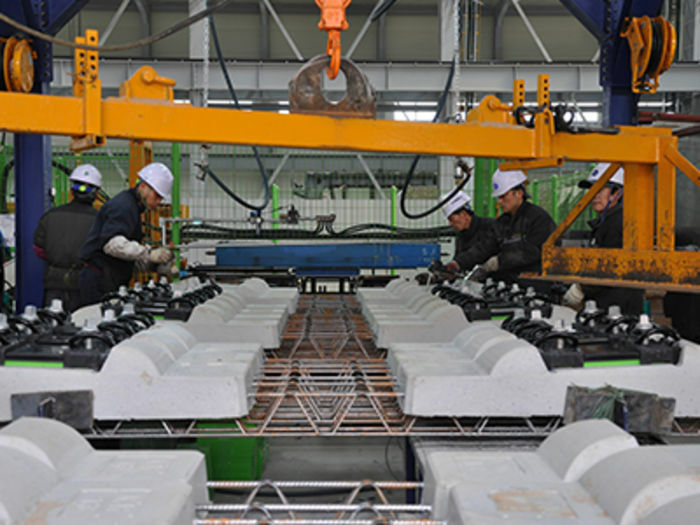 The company’s leading position in ballastless track railway technology is shown by the success of this project. 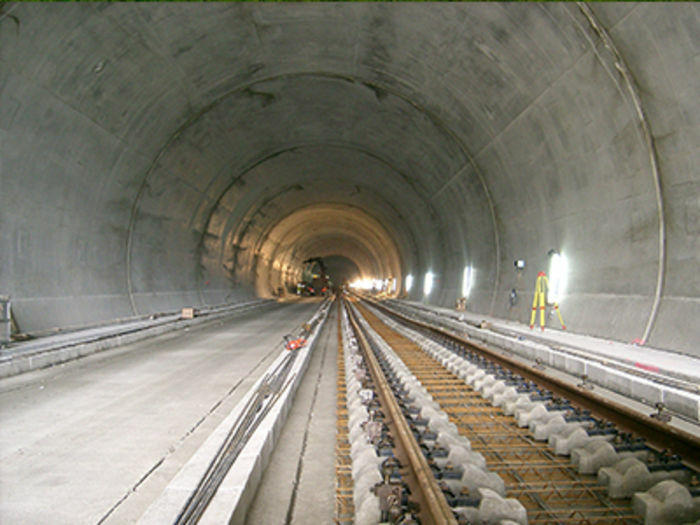 In the second section of the high-speed connection from Seoul to Busan – called the Kyungbu line (2007) – 390,000 bi-block sleepers from the RHEDA 2000® system were installed over a length of 136 kilometres. In Taiwan the RHEDA 2000® ballastless track system is also used in connecting the Taiwan Taoyyuan international airport to the metro network of the capital city, Taipei. The scope of the order includes the engineering, supply of materials and equipment, construction and installation of production facilities and monitoring services during production. 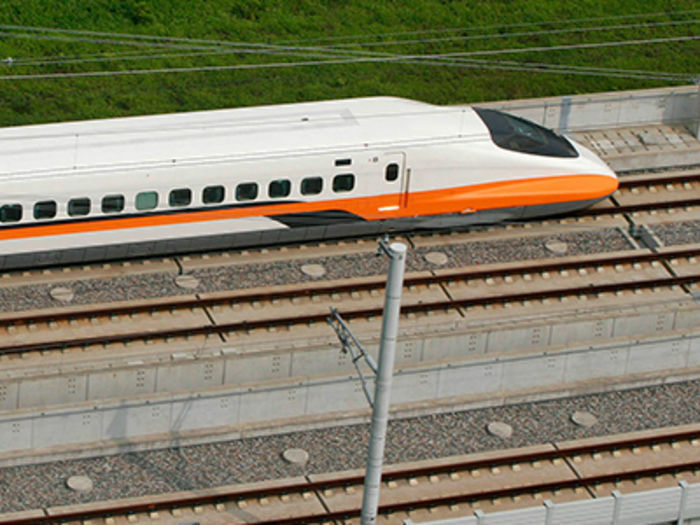 The company was already involved in construction of the Taiwan High-Speed Rail Line and in upgrading projects on the existing network for the Taiwanese National Railway (TRA). So far, over 480 kilometres of track have been laid with the RHEDA 2000® ballastless track system along the Spanish high-speed network. The system was used in the construction of tunnels in the Madrid-Valladolid and Madrid-Barcelona lines, among others. In addition, within the framework of the “Eje Atlantico” projects, several ballastless track construction projects were implemented which can be converted to the European track gauge at a later time. In Germany, RAIL.ONE has been involved in numerous projects using the RHEDA 2000® system. The system was used in construction of the Nuremberg-Ingolstadt route and in the Berlin North-South connection. The ballastless track technology was also used for the Leipzig City Tunnel, one of the most important transportation projects in central Germany. The entire track on ca. 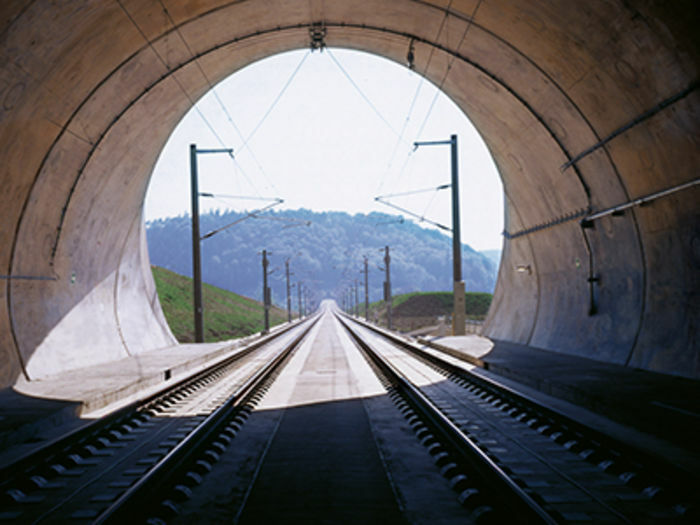 4 km in the tunnel structures was equipped with the RHEDA 2000® ballastless track railway system.